We're small, not tall at all. Starting with a dream and a passion for great wine, we hope to grow a little taller as we go. With friends, great advice, smiles and a helping hand we’ll make our way. Wine is passion, lifestyle, alchemy and a bit of artistry. Mother nature chimes in from time to time -- she cooperates, or not. What we’ve learned so far is that all we can hope for is a life well lived and time well spent with a great glass of wine and friends and family by our side. We believe that great wines are an expression of the time and place, source and soil, sunlight and the magical transformation that happens when yeast meets fruit. We seek balance and brilliance with minimal intervention. 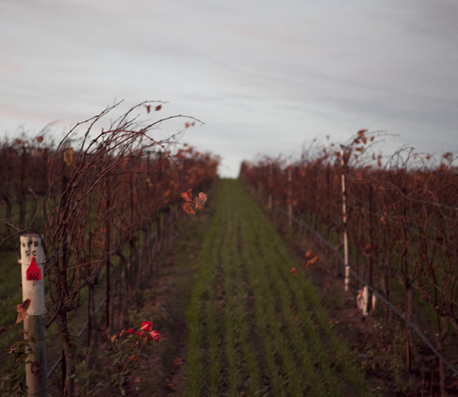 We source from the finest vineyards in California in the quest to make wines of character and simple grace. We are privileged to work with fabulous fruit and alongside amazing friends. We hope you’ll enjoy our wines today and continue to join us in the coming years, as we grow a little taller as we go. 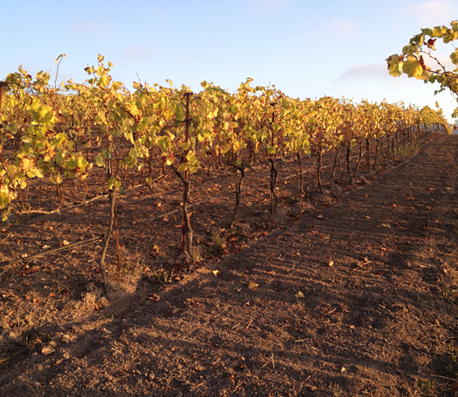 Vines at Clos Pepe Vineyard in the Sta, Rita Hills AVA at full dormancy cover crops fill the rows. 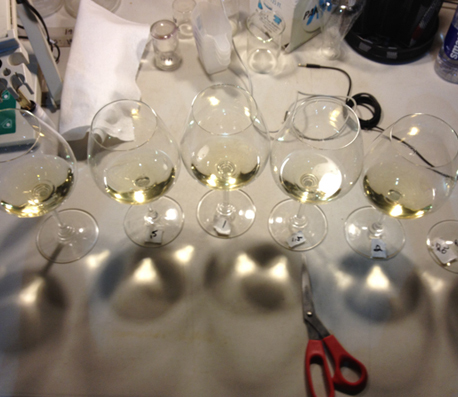 Blending trials at the winery. 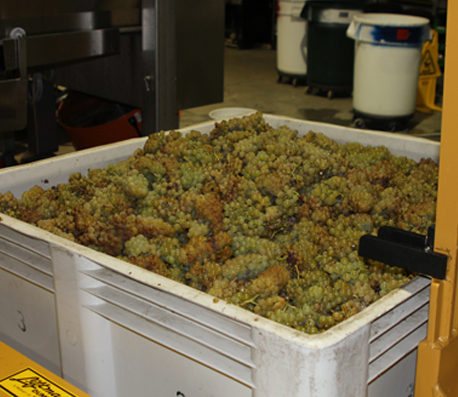 Our Chardonnay’s are all native yeast fermentations. 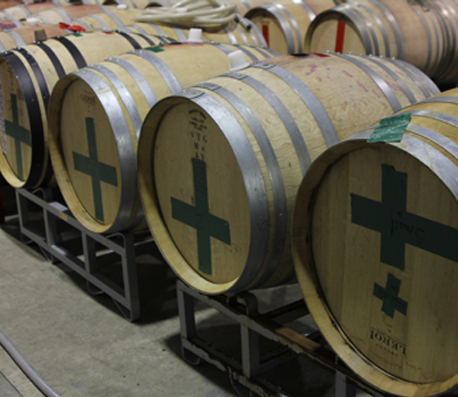 We blend lots of neutral French oak barrel and stainless steel for a more complex and aromatic wine. Barreled down for the winter. 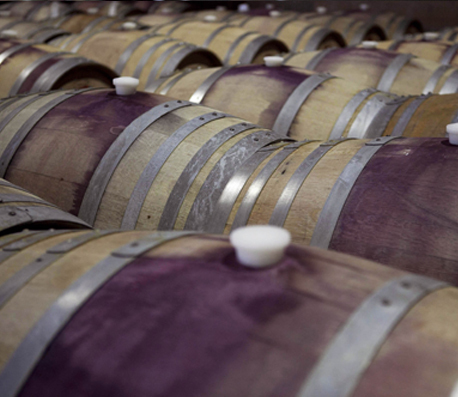 Pinot Noir rests on the lees awaiting completion of malolactic fermentation at the winery. Fall in the vineyard. Neat rows of Pinot Noir change hue before reaching dormancy. 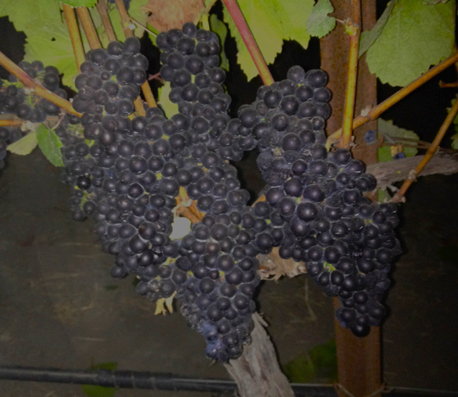 A very small row of small + tall vintage Pinot Noirs. Amazing Chardonnay! Ready to be pressed and fermented. Website by Three Star Smoked Fish Co.